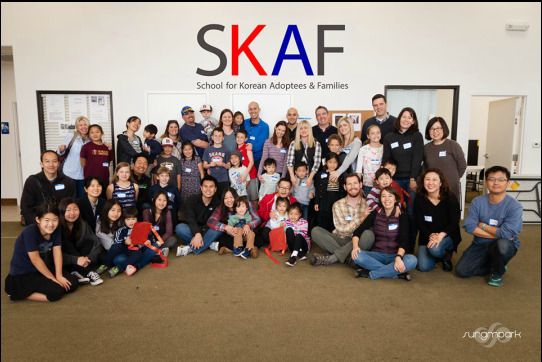 The School for Korean Adoptees and Families (SKAF) is developed for Korean adoptees and their families to learn basic Korean language and Korean culture through arts, crafts, and activities. It is an opportunity for kids to find their inner Korean identity with their adoptive family members. SKAF meets in the East Bay (San Ramon) every other week. For more information, contact meandkorea@gmail.com. "The staff & volunteers of SKAF are extremely committed and passionate about providing an avenue for Korean adoptees and their families to learn more about Korean culture through language, folk stories, related arts/crafts, culture, festivities, and history through hands on learning. They do this in a loving, non-threatening, fun environment, whereby the WHOLE family can come together and learn. It's also a great way to keep connected with the adoptive community at large." To register, please email info@meandkorea.org.